Between their jailbreak solutions for iOS 6 and iOS 7, the hacker collective known as Team Evad3rs has done a lot for OS X device owners. Despite what they’ve done to help liberate people’s iOS devices, though, Team Evad3rs has asked for remarkably little back. With JailbreakCon coming up, then, why not support Team Evad3rs with these high-quality vinyl skins, courtesy of the folks at iCarbons? Like other iCarbon skins, you can customize the official Evad3rs skin with different colors, right down to any element. 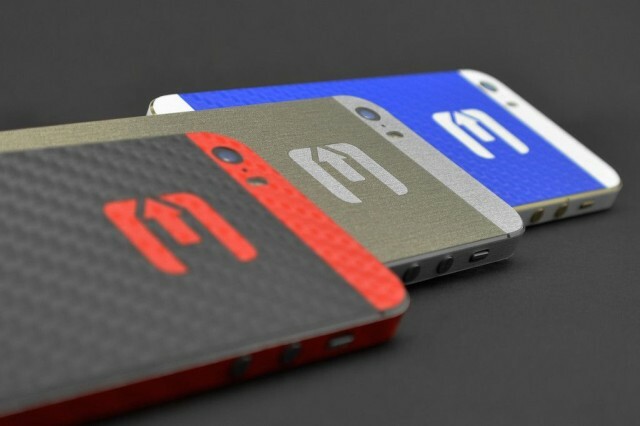 The official Evasi0n skin starts at just $13 from the iCarbon website: grab one now to show your support of jailbreaking! After releasing iOS 7.0.6 yesterday with an important SSL bug fix, jailbreakers were put in a quandry. The bug that iOS 7.0.6 fixes a seriour security flaw that makes SSL/TLS sessions insecure, which puts your personal details in web transactions at risk of being stolen. On the other hand, is it really worth sacrificing your jailbreak for? 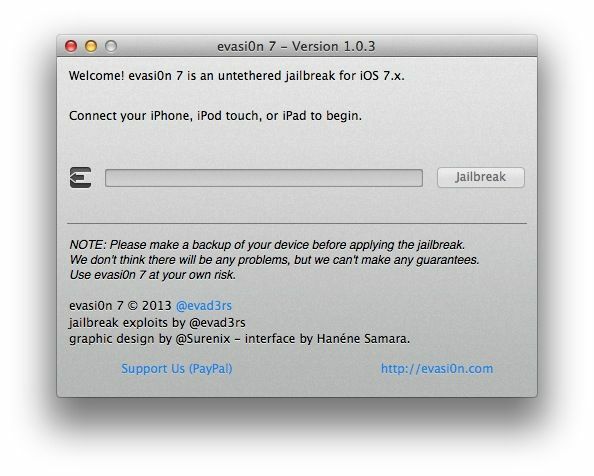 Luckily, it turns out that iOS 7.0.6 is still capable of being jailbroken using the existing Evasi0n jailbreak. Although Apple has patched out the Evasi0n jailbreaking exploit in iOS 7.1, iOS jailbreak dev winocm has said on Twitter that iOS 7.0.6 is still jailbreakable. 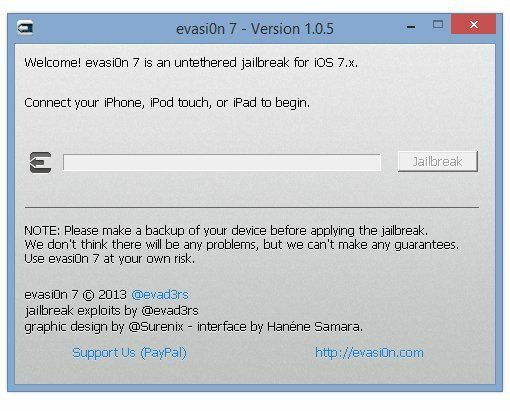 Of course, the existing Evasi0n jailbreak installer hasn’t yet been updated to support iOS 7.0.6, but if previous iOS 7.0.x updates are anything to go by, it won’t take long. In the meantime, if you want to jailbreak iOS 7.0.6 and don’t mind doing some hex editting, you can do so by following the instrucions here. It was always a matter of time before Apple killed off the popular Evasi0n jailbreak, and as of iOS 7.1 beta 4, they had killed off at least one critical exploit. But Apple’s not going to stop there. They’re nuking Evasi0n from orbit. It’s the only way to be sure. 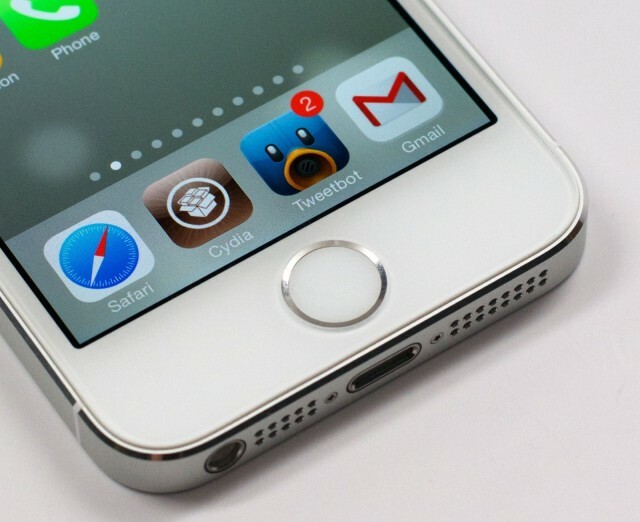 In the latest release of the iOS 7.1 beta, Apple sadly closed the hole that allowed the Team Evasi0n jailbreak to work, closing the door on jailbreaking until the next exploit comes along. Given that, you might expect that today’s iOS 7.0.5 release would also close the Evasi0n exploit… but no! It’s actually still safe for jailbreakers. You just need to do a (very little) bit of hacking to make it work. Every time, the game of cat-and-mouse between Cupertino and jailbreakers goes like this. Apple releases a new version of iOS, patching existing jailbreak exploits. Jailbreakers poke and prod at the code for a few months, until they find a new exploit. They hold off on revealing the nature of this exploit to anyone for as long as humanly possible, lest Apple get wind of it and close the hole in a point release. Then, when the finished jailbreak is finally released, Apple’s programmers sniff out the exploit, patch it, and the whole game starts anew. When Team Evasi0n released the iOS 7 jailbreak, then, it was only a matter of time before Apple fixed the exploit that allowed it to happen to begin with. Surprisingly, though, Cupertino did not patch Evasi0n in the developer betas of iOS 7.1… until now. Speaking of jailbreaks, the Evasi0n jailbreak allows any device running iOS 7 to crack open Apple’s stronghold and tweak any aspect of the system. 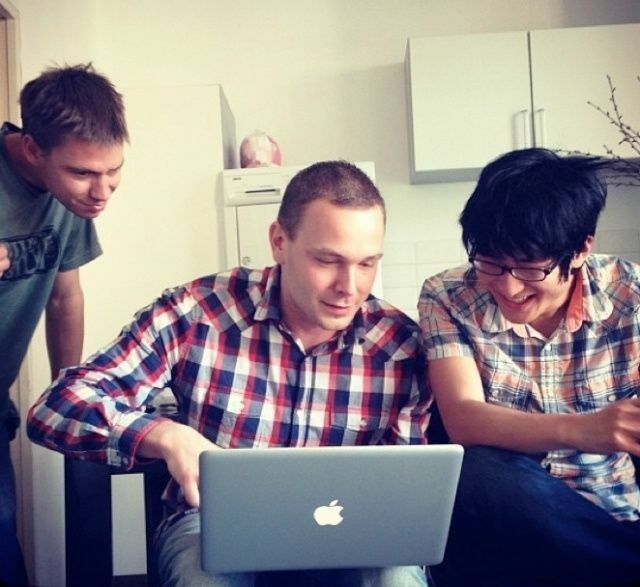 Unfortunately, when the Evasi0n jailbreak was released, the team behind it didn’t reach out to members of the jailbreak community, leading to an initial release that didn’t support Cydia, Mobile Substrate, and had a number of bugs that could cause unfortunate boot loops, especially on the iPad mini with Retina Display. Yesterday, Team Evasi0n released a new version of their jailbreak that not only includes an updated Cydia bundle and fixes the iPad mini boot loop, but also makes the tool compatible with iOS 7.1 beta 3 so that Apple’s latest iOS beta can be jailbroken. That probably won’t last for long — Apple is likely to close the hole that makes the Evasi0n jailbreak possible when iOS 7.1 is released to the masses — but it’s nice for the time being. 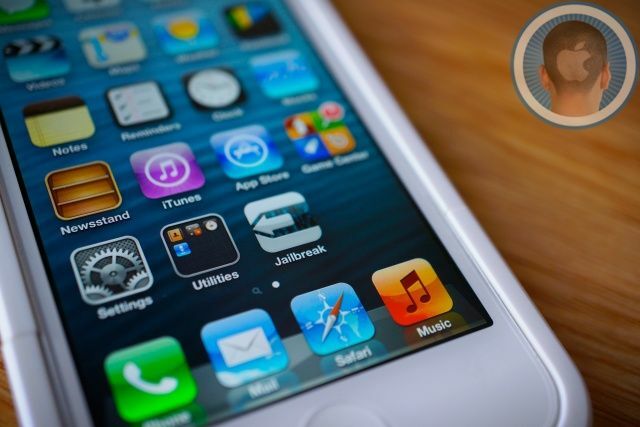 The iOS 7 jailbreak was released last Sunday, but it was a messy release that had a lot of bugs and compatibility issues. We warned everyone to wait at the time. Today the last major issue with the jailbreak was fixed for newer iOS devices with the A7 chip. Jay ‘saurik’ Freeman, the creator of Cydia, has updated Mobile Substrate for iOS 7 and the new 64-bit architecture found in the iPhone 5s, iPad Air, and second-gen iPad mini. Christmas came early this morning for jailbreakers who have been waiting for iOS 7 to be cracked. Today the Evad3rs, the same group of hackers behind the iOS 6 jailbreak, released the full iOS 7 untethered jailbreak to everyone’s surprise. Famed iOS jailbreak hacker Pod2g hates the redesign of iOS 7 so much he might abandon Apple’s operating system all together… for Android. For years Apple has been playing a game of cat and mouse with jailbreakers. Apple releases a new version of iOS, hackers get busy finding security vulnerabilities to exploit, a new jailbreak comes out utilizing those hard-earned exploits, and Apple fixes the security holes in a new iOS version. The cycle has been happening for years. 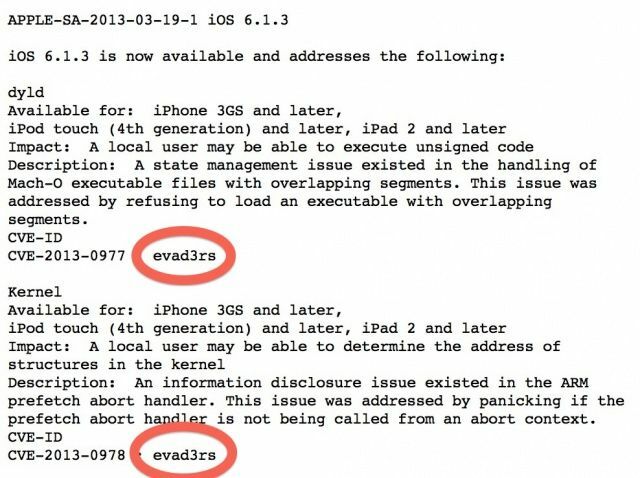 A team of hackers called the Evad3rs were responsible for the recent iOS 6 Evasi0n jailbreak, and Apple just released iOS 6.1.3 to patch the related security holes. Of the 6 exploits that were fixed, Apple has publicly credited 4 to the Evad3rs, all of which are chained together to give hackers root access to iOS.